This at-home test is an easy way to evaluate your levels of three different B vitamins in your body. 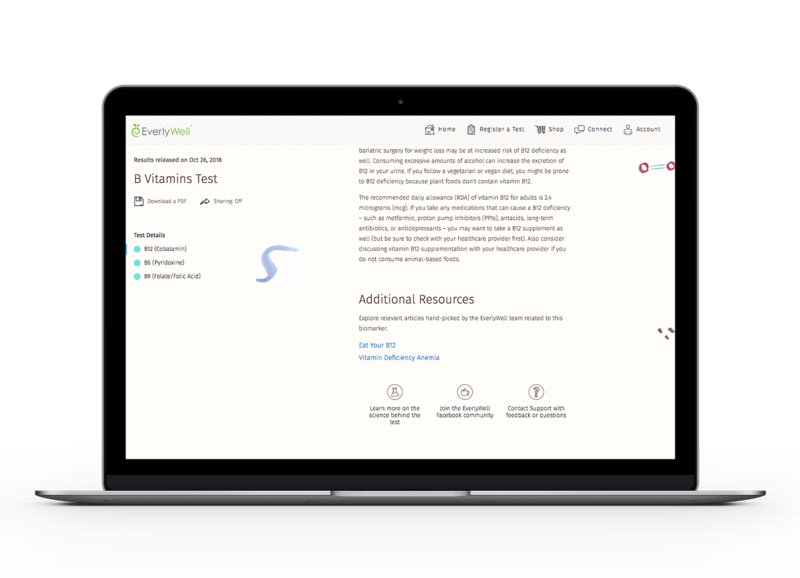 It can identify deficiencies and help you determine if dietary changes may be needed to improve your health and wellness. Vitamin B6 is commonly found in dairy products, fish, and meat. It keeps infections out of your body and helps red blood cells form (which carry oxygen through your body). If you are not getting enough B6, you may experience things like rash and skin issues, mood changes, frequent infections, and certain neurologic problems. Vitamin B12 is found in meat, chicken, and fish, and it’s super common to have a deficiency. It is important for the proper function of your nerves – especially the ones involved with your vision. On top of helping to maintain healthy eyesight, low levels of B12 can lead to fatigue, weakness, and mood changes. 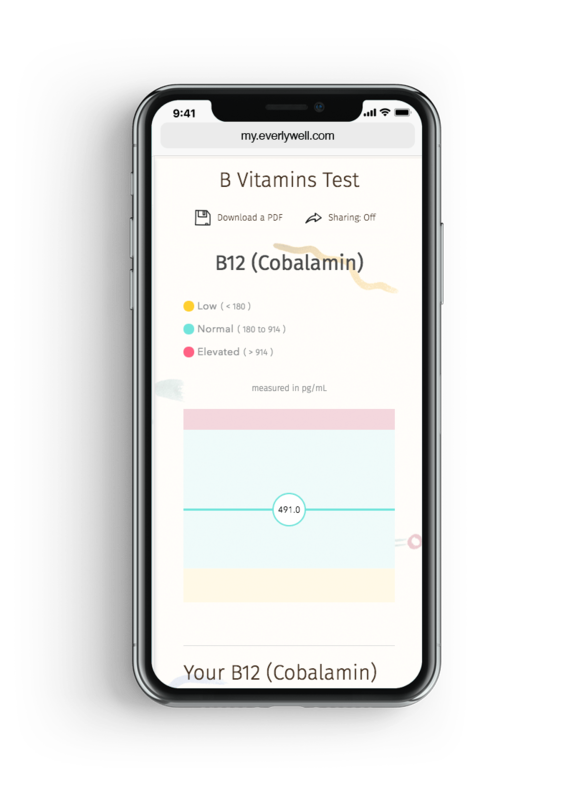 To all of our vegan and vegetarian friends: B12 is not present in plant-based foods, so checking your levels can be extremely important. 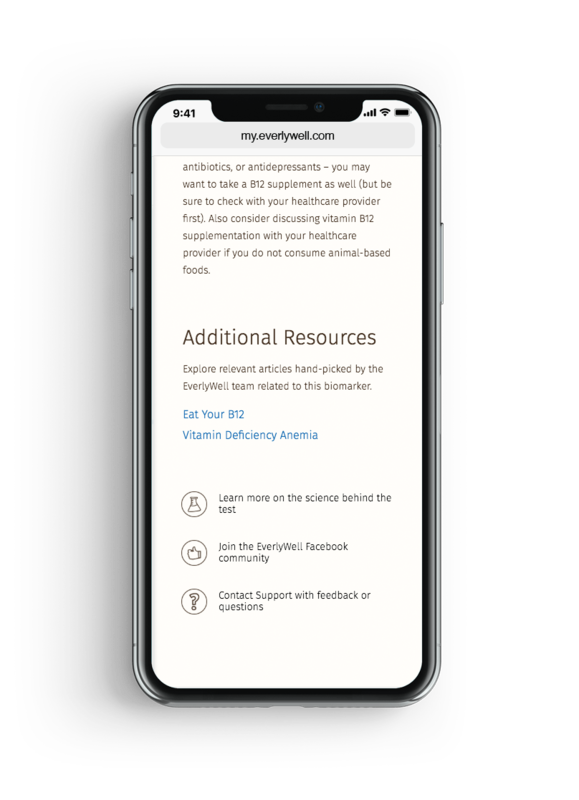 B vitamins play important roles in all types of cellular health including your immune system, making DNA to create new cells, making red blood cells, and helping nerve cells function. This at-home test will let you easily check if your levels of three key B vitamins are optimal for overall health and wellness. 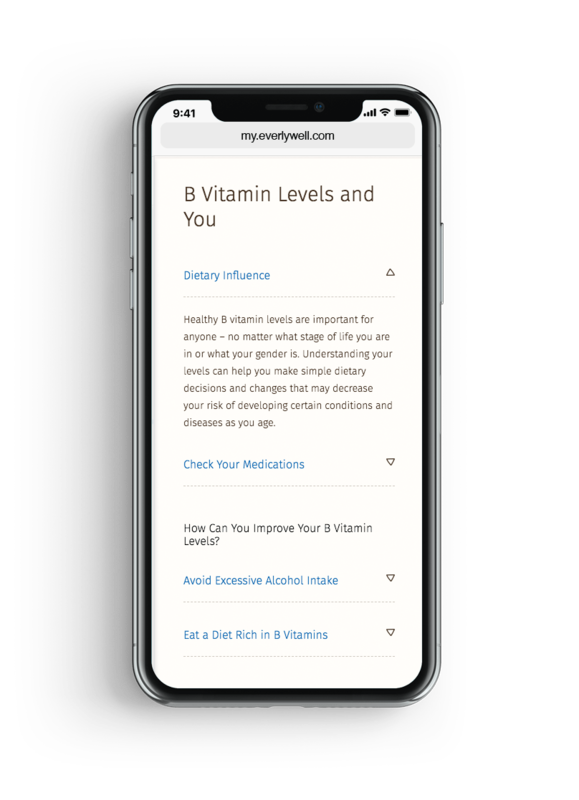 There are several reasons why you may want to learn more about your B vitamin levels. 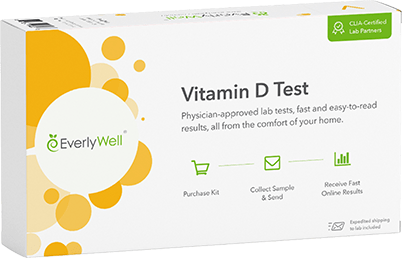 Assessing your B vitamin levels can give you answers to important questions about your body's wellness. 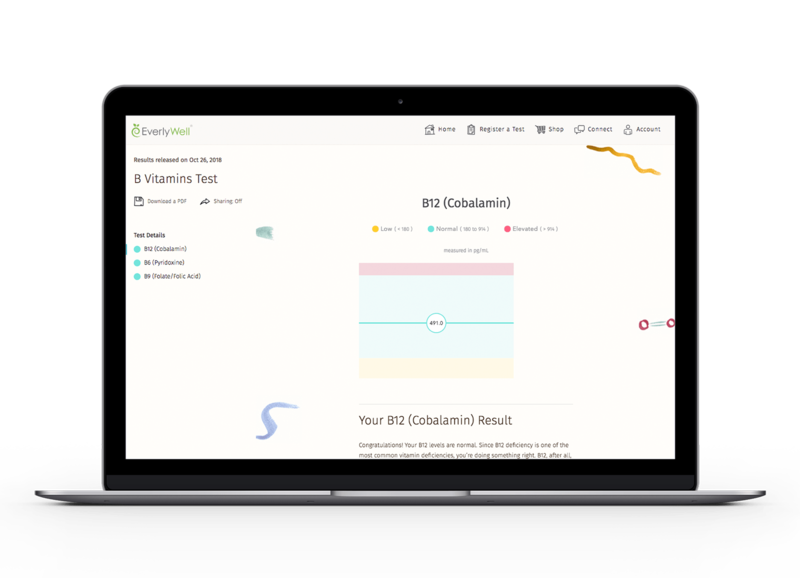 Your results will show you if your vitamin B6, B9, and B12 levels are within the normal range. B vitamins are important for proper function of the nervous system, immune system, and for normal development of red blood cells. 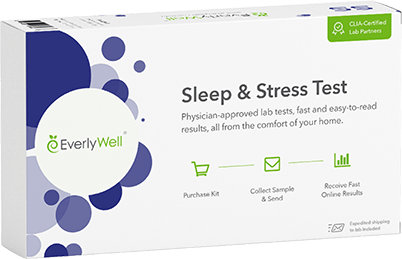 You will get your vitamin B6, B9, and B12 levels, as well as guidance on how to improve or maintain healthy levels of these vital vitamins for overall wellness.